Supported by an educational grant from Astellas Pharma US, Inc.
For several decades, no new agents had been permanently approved for the treatment of acute myeloid leukemia (AML) in the frontline and relapsed/refractory (R/R) settings. In recent years, the identification and better understanding of specific genetic alterations associated with the development and progression of AML have led to the emergence of a new reformulation of a standard combination therapy and novel agents that target specific “driver” mutations in a given AML patient. In the last 2 years, 8 agents have been approved for treatment of patients with newly diagnosed and R/R AML: a liposomal formulation of cytarabine-daunorubicin (CPX-351); the CD33 inhibitor gemtuzumab ozogamicin; the B-cell lymphoma-2 (BCL-2) inhibitor venetoclax; the isocitrate dehydrogenase-1 (IDH-1) inhibitor ivosidenib; the IDH-2 inhibitor enasidenib; the smoothened receptor inhibitor glasdegib; and the FMS-like tyrosine kinase 3 (FLT3) inhibitors midostaurin and gilteritinib. In light of the approvals of midostaurin and gilteritinib for newly diagnosed and R/R AML, respectively, and of considerable interest in other FLT3 inhibitors in clinical development (eg, quizartinib and crenolanib), Dr. Eytan M. Stein of Memorial Sloan Kettering Cancer Center provides in-depth insight into the nature of FL3 inhibition and the clinical trials data that can provide guidance for therapeutic decision-making for patients with AML. These new treatment choices are likely to reshape the therapeutic landscape of AML. USF Health adheres to ACCME, ANCC, and ACPE Standards regarding commercial support of continuing medical education. It is the policy of USF Health that the faculty and planning committee disclose real or apparent conflicts of interest relating to the topics of this educational activity and that relevant conflict(s) of interest are resolved. Dr. Stein discloses that he is on the advisory boards of Agios Pharmaceuticals, Astellas Pharma US, Inc., Bayer, Celgene Corporation, Daiichi-Sankyo Company Ltd., Novartis Pharmaceuticals Corporation, Pfizer Inc., and Syros Pharmaceuticals Inc. He also receives grants/research support from Agios Pharmaceuticals, Bayer, Celgene Corporation, and Syros Pharmaceuticals Inc. The USF Health Office of Continuing Professional Development staff have nothing to disclose. Phyisican, nurse, and pharmacy planning committee members and content reviewers have nothing to disclose. Haymarket Medical Education staff involved in the planning of this activity have no relevant financial relationships to disclose. USF Health designates this enduring material for a maximum of 0.75 AMA PRA Category 1 CreditTM . Physicians should claim only the credit commensurate with the extent of their participation in the activity. A maximum of 0.70 contact hour may be earned by learners who successfully complete this continuing nursing education activity. USF Health designates this continuing education activity for 0.75 contact hour (0.075 CEU) of the Accreditation Council for Pharmacy Education. AAPA accepts certificates of participation for educational activities approved for AMA PRA Category 1 CreditTM by ACCME-accredited providers. Physician Assistants who participate will receive a certificate of completion commensurate with the extent of their participation. 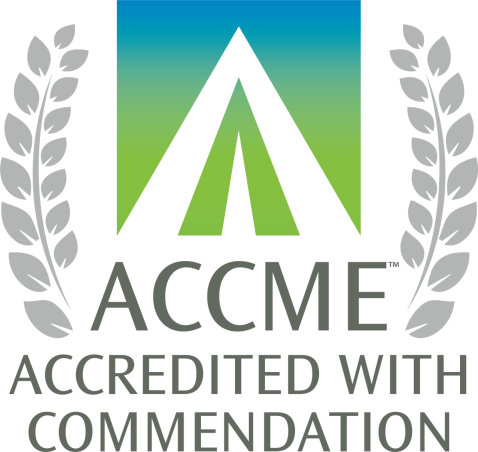 AANPCP accepts certificates of participation for educational activities approved for AMA PRA Category 1 CreditTM by ACCME-accredited providers. APRNs who participate will receive a certificate of completion commensurate with the extent of their participation. This educational activity may contain discussion of approved and/or investigational uses of agents that are not indicated by the FDA. Astellas Pharma US, USF Health, and HME do not recommend the use of any agent outside of the labeled indications. The opinions expressed in the educational activity are those of the faculty and do not necessarily represent the views of Astellas Pharma US, USF Health, or HME. Please refer to the official prescribing information for each product for discussion of approved indications, contraindications, and warnings. If you have any questions relating to the CME accreditation of this activity, please contact USF Health at 813-224-7860 or cpdsupport@health.usf.edu. For information about CNE accreditation of this program, please contact USF Health at 813-224-7860 or cpdsupport@health.usf.edu. For information about the ACPE accreditation of this program, please contact USF Health at 813-224-7860 or cpdsupport@health.usf.edu. It is the responsibility of the pharmacy participant to ensure the provider has the learner’s birthday and e-Profile ID (ePID)/NABP number; it is the responsibility of the provider to submit to CPE Monitor participant information within 60 days of the activity for all participants who have attended, attested to their participation, and provided their ePID/NABP number and birthdate. ACPE indicates it is the responsibility of the pharmacy professional to confirm the status of their NABP contact hours before 60 days past the activity. If there are any discrepancies, contact the provider immediately. You may contact USF Health through cpdsupport@health.usf.edu.